1 8 72 2 963 858 0 Sensor - Flue gas temp. 2 8 714 500 087 0 Sensor - CH flow temp. 3 8 714 500 054 0 Sensor - DHW flow temp. 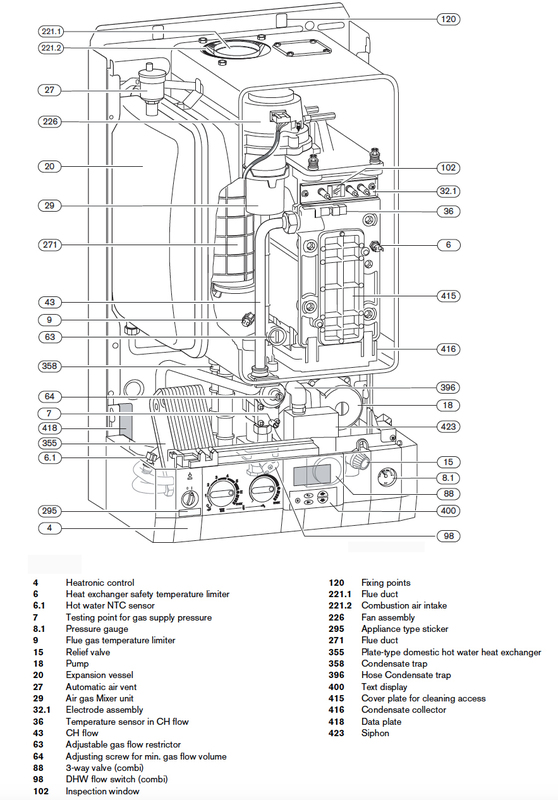 Check out the exploded parts diagrams and parts lists to identify your replacement Worcester Bosch Combi Boiler R 40 HE Plus part.